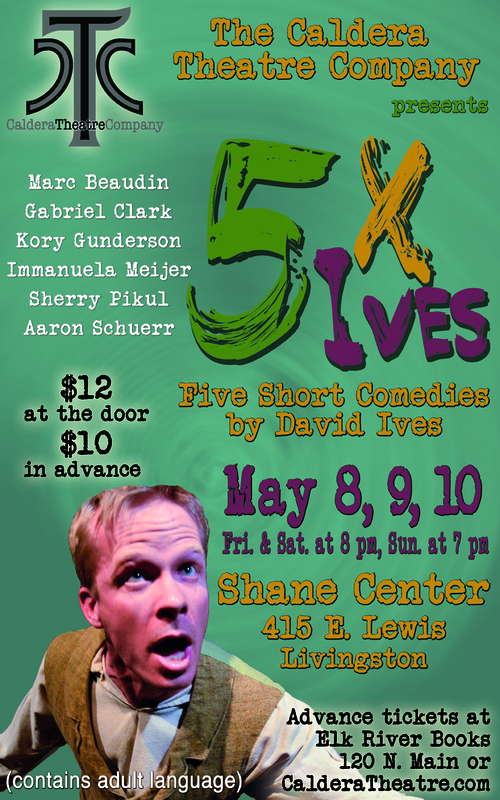 Livingston’s Caldera Theatre Company (CTC) will present 5xIves: Five Short Plays by David Ives, at the Shane Lalani Center for the Arts Ballroom, 415 E. Lewis Street. 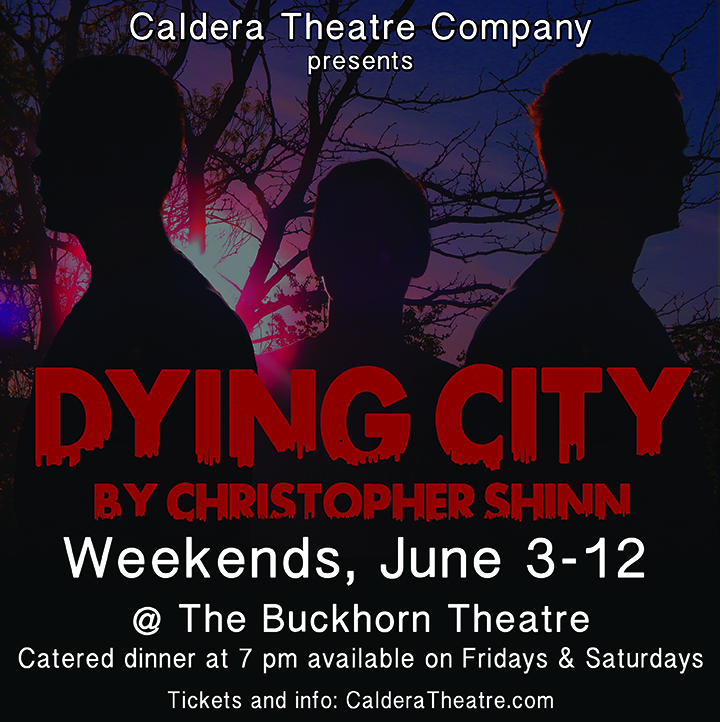 Performances will be held Friday and Saturday, May 8 and 9, at 8:00 pm and Sunday May 10, at 7:00 pm. Admission is $12 at the door or $10 in advance. Advance tickets are available at Elk River Books, 120 N. Main or by clicking the secure PayPal links below. The plays are “Sure Thing” directed by Gabriel Clark and featuring Marc Beaudin and Sherry Pikul; “Words, Words, Words” directed by Sherry Pikul and featuring Gabriel Clark, Immanuela Meijer and Aaron Schuerr; “A Singular Kind of Guy” directed by Immanuela Meijer and featuring Marc Beaudin; “Long Ago and Far Away” directed by Marc Beaudin and featuring Gabriel Clark, Kory Gunderson, Sherry Pikul and Aaron Schuerr; and “English Made Simple” directed by Kory Gunderson and featuring Gabriel Clark, Immanuela Meijer and Sherry Pikul. Performances run a little over an hour and contain adult language. The CTC is a local, independent theatre company that seeks to create an environment for the exploration and development of the art of theatre, and to produce events that share these findings with the public. Past productions have included Trout Fishing in Livingston: A Theatrical Homage to the Writings of Richard Brautigan and Chekhov’s Squirt Gun (produced by the Blue Slipper).